So what do you do when you have a quench for some ramen at the peak of summer? For a lot of people (Not me!) the idea of soup is unthinkable, so you either go without, brave the hot soup, or have it a little chilled. Since Motoyama Tei was offering the later, we went with that one. There were a few people around for the awkward Sunday 4pm lunch(? ), despite their being an abundance of ramen shops in Hiyoshi - which I'm certain is related to there being a Keio University campus on the other side of the station - and an interior that resembled a burger joint more than a ramen shop. 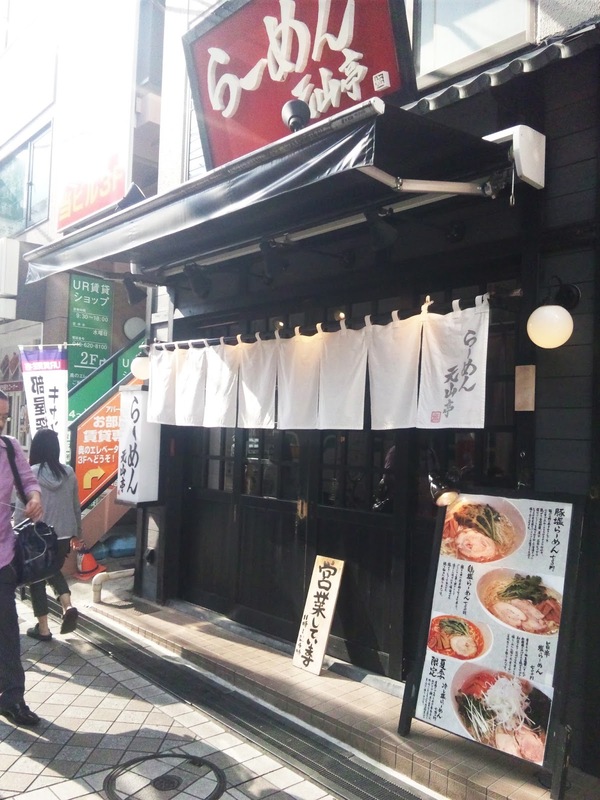 The shop itself is an offshoot of the more famous shio ramen shop, Honmaru Tei, in Yokohama. 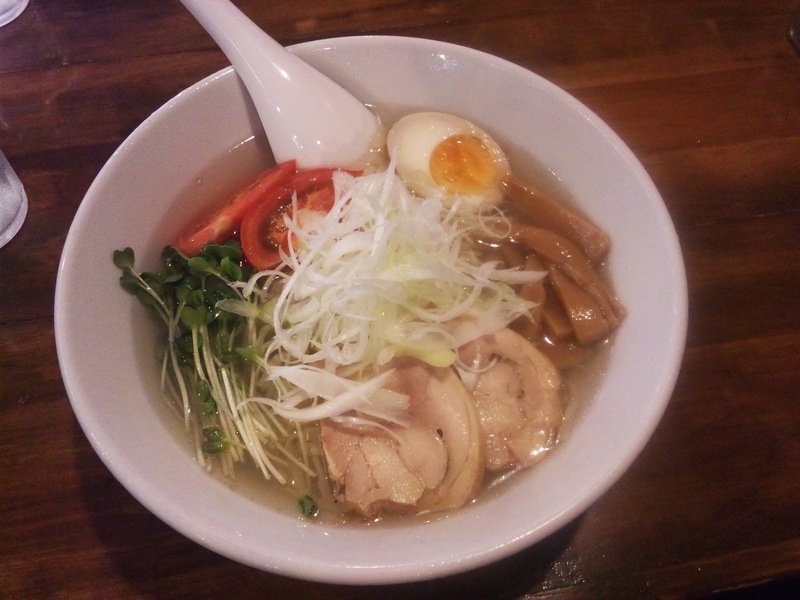 It definitely provides the relief from the heat that you are looking for which, if it's your main purpose, can be a great thing but the ramen itself may not be for everyone. 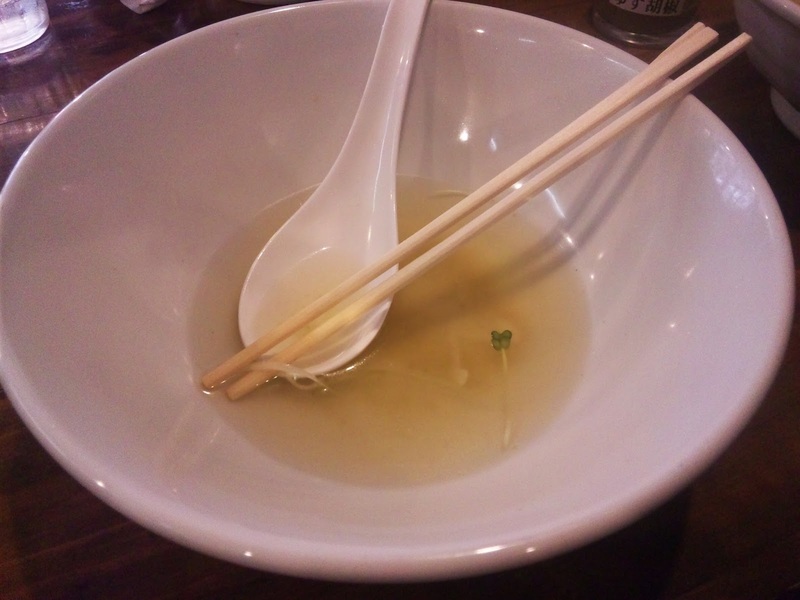 The noodles were quite firm and suited the citrus-tinged soup well - the soup, however, was a bit same-y and lacked some punch, so I added some yuzu paste to get it going. Not the greatest, but far from the worst and points for trying to adapt to the climate.